Vanilla Brulee was my favorite of the three that came in a 3 pack candle set I purchased at Costco of all places. I loooooooove Vanilla and this candle smelled pretty good! Very creamy, sweet and oh so delicious! This candle was so pretty! The vessel a lovely vintage white … the edge on the rim of the glass was mottled and rough to further give it that vintage appearance. The label on the candle was silver and white with the company emblem and scent name in the center. The wax color was also white with one centered wick. With so many different variations of Vanilla scents out there, I’ve become pretty picky about what I like and don‘t like. My favorites are the sweet and bakery oriented vanilla’s or even the pure and classic vanilla extracts. My least favorite… the vanilla scents that smell synthetic and fake and there are plenty of those out there and you know what I’m talking about the moment you smell it. Vanilla Brulee smelled perfect, nothing fake or synthetic… first sniff, it reminded me of a sweet vanilla custard. Yum!! Time to test my candle! Because Pear Glaze (link to review here) was so light, I decided to stick to small bathroom with this one and I it was a perfect call. It didn’t take too long to start noticing the fragrance once the candle was lit (maybe 20 minutes) and the aroma drifting through the room was delicious… a creamy and sweet vanilla cream. It stayed pretty true. The strength was pretty subtle so this is definitely a candle you want to burn in a really small room. Strength, on a scale of 1 to 10, I’d rate this candle a 4 and that’s in a small room. It was pretty light. That would be the only negative to this line of candles… the strength for this size candle seemed pretty weak. This candle did fragrance my small power room decently though so I was still happy overall. This was a great vanilla and I would try it again given the chance. It was lightly scented but the scent itself… a pure sweet and yummy vanilla cream. Delicious!! I really liked it. So if you decide to give this set a try… I’d start out in small rooms and go from there. Costco doesn’t have a huge selection of candles but they have a few (which of course I purchased) so stay tuned for more reviews on the way…. 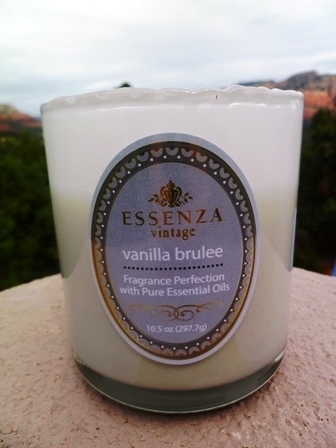 Have you tried Vanilla Brulee from Essenza? Review it with us. 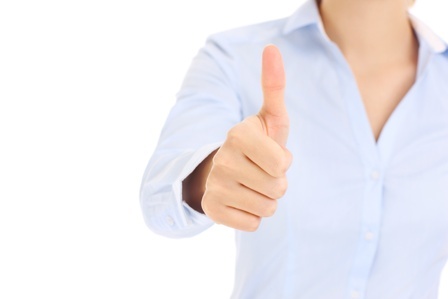 In the comment section below, review and star rate your experience… it’s easy! Vanilla Brulee was came in a 3 pack I purchased at Costco. Essenza is marketed as a luxury brand and they definitely look it. These candles are gorgeous. The scent... a sweet and creamy vanilla. I liked it but it was lightly scented.